Three German Skiers got killed in an avalanche near the Austrian resort of Lech, the fourth skier is missing. The group was ski touring at the time. The dead men were from the Upper Swabia area of southwestern Germany. They were found around 11 PM local time after one of their wives alerted that they were missing. They were aged 57, 36 and 32. The fourth missing person, also from southern Germany was 28. Three German Skiers got killed in an Avalanche near the Austrian resort of Lech, fourth is missing. Photo: Reuters. The search for this fourth person has halted due to heavy avalanche risk. Police in the Vorarlberg province has said they have located the people through mobile phone tracking near the Lanzeg Zug slope – one of the steepest in the world. As per the Associated Press, weather-related deaths in parts of Europe this month account to at least 24. Austria has been hit by large snowfalls this past week, and the avalanche warning levels have gone up while local roads have been cut. The warning level above 2,000 meters (6,560 feet) was on Saturday on a scale of 3 of 5. The slope has been closed due to avalanche danger. Austria is expecting more snow this weekend. Soldiers, volunteers and firefighters have been working in clearing cut-off roads and rooftops during the breaks in the weather. On Friday, 66 German students and teachers have to be airlifted to safety, after becoming stranded at the Kasberg ski resort in Grünau. On the same day, the Red Cross helped drivers stuck on a motorway in Bavaria, southern Germany and a kid of 9 years old have been killed near Munich when a tree collapsed under the weight of snow. This added to the 300 meters width avalanche that crashed into the hotel Säntis in Schwägalp, injuring three people. A NASA tweeted by BBC Weather showed that lots of snow has fallen into Austria, Germany and Eastern Switzerland but little to no snow has fallen on the Italian side of the Alps. Recently a British skier was killed after suffering a cardiac arrest on a chairlift falling 32 feet to the ground in Méribel resort in Les Trois Vallées. You can see our recent article on how avalanches claimed two lives in Switzerland the past week. And read more what is the real risk of avalanches. BBC Weather Tweet on the storm over Austria and Germany. Three German Skiers got killed in an Avalanche near the Austrian resort of Lech, fourth is missing. Tweet of the BBC from NASA stating that snow has made it to Austria but little to none to Italy. Three German Skiers got killed in an Avalanche near the Austrian resort of Lech, fourth is missing. Crested Butte will have a new chairlift to replace Teocalli lift for the 2019/20 ski season. Also, you can read how Grandvalira will be staying together as one lift ticket company and how they are adding Ordino Arcalis to this offer. And also read how someone tried to sabotage some lifts in Vallnord’s Pal Arinsal. And as if it is starting to be a trend, there were two lifts sabotaged in Passo Rolle, in Val di Fiemme, Trentino. Fortunately they were repaired in record time to open to the public. Also, Mt Hood Meadows was forced to evacuate one lift with 150 skiers and boarders due to a power failure. And the same was the case in a lift with 140 skiers/boarders in Whitefish, Montana. Or read about the latest investments in Whistler Blackcomb. Or see how Taos is going against the industry trend, and instead of merging with the two biggest oligopolies in skiing at the moment, it goes and buys an airline to get more bums in resort. Or how Jackson Hole is appealing to families and beginners – it is not only a resort for expert skiers anymore. Another great area for families is Stubaital in the Tirol. And a new coming ski area that got funding for its first lift is Skeetawk in Alaska. Courmayeur is opening this season two new trails, one that is 70% steep – not for the faint-hearted! Or read how a group of experienced industry insiders got together to purchase Tamarack Resort. And how Peak Resorts finalised the acquisition of the resorts of Snow Time. You can also check how Vermont’s ski passes are the most expensive in New England. Workers clearing snow in the Austrian resort of Obertauern. 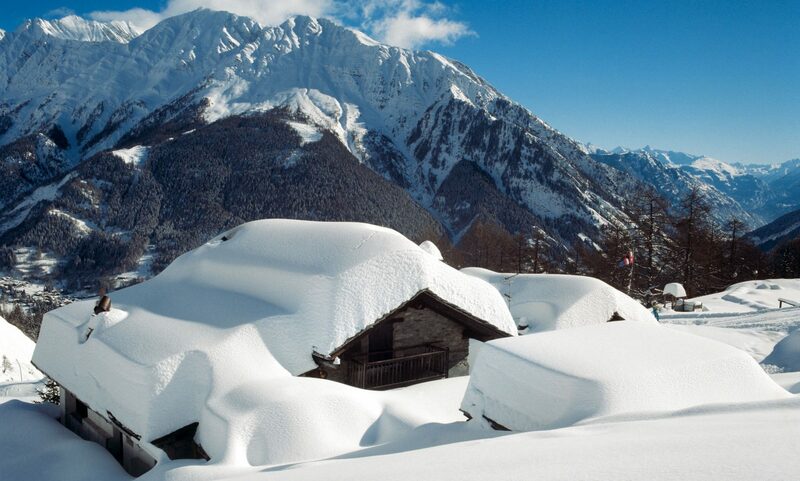 Austria got hit by lots of snow this past week. Three German Skiers got killed in an Avalanche near the Austrian resort of Lech, fourth is missing. Featured Image: Lech Zürs am Arlberg photo by Sepp Mallaun. Lech Zürs Tourismus GmbH. Three German Skiers got killed in an Avalanche near the Austrian resort of Lech, fourth is missing. Previous PostPrevious A British skier dies after falling 32 feet from a chairlift in the French resort of Méribel at the 3 Vallées.